Looking for healthy, glowing skin as you age? Cannabis may be able to lend a hand. Here’s how the herb protects your skin from daily damage. Our skin is the most visible sign of aging. The largest organ of the body, the skin is our first line of defense against environmental stressors and pathogens. Unfortunately, years of exposure to daily stress is wearing on the skin. Over time, it begins to lose elasticity, becomes dry, and loses some of the ability to heal itself. Fortunately, cannabis may help the skin age a little more gracefully. There are a couple of reasons why skin ages. The first reason is inevitable. After the age of 20, your skin produces 1% less collagen each year. Collagen provides firmness to the skin. Losing collagen means that the skin becomes more fragile and less thick. Glands that produce oil also become less productive, meaning that your skin becomes drier. You also begin to lose elastin, which limits the elasticity of the skin. This natural aging process is called intrinsic aging. The second reason is environmental, or extrinsic aging. Extrinsic aging is caused by sun damage, exposure to pollutants, smoke, and additional lifestyle and exposure factors. Over time, environmental damage accelerates collagen and elastin loss. It also created dark sun spots, contributes to an uneven appearance, and causes deep lines and wrinkles. Funny thing is, damage from intrinsic aging is slight. 90% of skin aging occurs due to extrinsic aging. The bulk of skin damage comes from external factors. Environmental damage over time can lead to cancers. Exposure to environmental stress also thickens the outermost layer of skin, creating a leathery appearance. In a way, you can think of the cannabis plant as a kind of fruit salad. The herb contains over 400 different chemical compounds that we’re only just beginning to understand. Some of these compounds are cannabinoids like psychoactive THC and non-psychoactive CBD. Cannabis can help aging skin in a couple of ways. While the herb is not a sunscreen, it is a potent antioxidant. These antioxidants are key to preventing environmental damage in the skin. Antioxidants work by neutralizing harmful compounds known as free radicals. Free radicals are volatile molecules that steal atomic resources from your cells and DNA, causing damage. UV rays from the sun are free radicals. As are chemical pollutants and harsh compounds in smoke. In our modern environment, it is very difficult to avoid exposure to pollutants. Yet, the more exposure we have to free radical compounds, the more stress we place on our skin. As antioxidants, compounds like THC and CBD potentially protect skin cells and their DNA from damage. In fact, studies have shown that CBD is a more powerful antioxidant than vitamins E and C.
For the most part, our immune systems do not attack the free radicals which regularly assault our skin. So, in a sense, antioxidants act as a sort of extra protection against non-living harms that change the way our cells function. Antioxidants speed up the skin repair process and protect against harmful compounds before they’re able to create havoc in your skin cells. As mentioned earlier, your skin begins to secrete less oil as you grow older. This makes your skin dry and flakey. Body oil is secreted by sebaceous glands, which are designed to lubricate and waterproof your skin. As you age, sebaceous glands decrease in size, leading to less oil production. Turns out, endocannabinoids play a major role in oil production. Endocannabinoids are compounds that our bodies produce naturally that are similar to those found in cannabis. A 2008 study found that endocannabinoids help regulate the excretion of oil in sebaceous glands. This led the study authors to conclude that cannabinoid receptors may be novel targets for treating sebaceous-related skin conditions, including dry skin. There has yet been any published study on cannabis as a long-term treatment for aging skin. But, there seems to be some potential. Already, cannabis treatments have been effective in treating dry skin conditions like eczema and psoriasis. Perhaps some of these same mechanisms of action will be helpful in moisturizing and protect dry, brittle skin as we age. Though, research is sorely needed to put this theory to the test. While the antioxidant potential of cannabis may benefit aging skin, smoking the herb may make things worse. Smoke, in general, is filled with volatile free radicals and cancer-causing compounds that can prematurely age the skin. These compounds interfere with collagen production, causing your skin to lose firmness more quickly. The result is skin that looks more battered and degraded than it should. Remember, when you smoke a joint, you’re not just smoking herb. You’re also burning paper which may or may not contain dyes, bleaches, and other possible free-radicals. Avoiding this problem is simple. If you’re concerned about your skin, switch to a vaporizer or edible forms of cannabis. Vaporizers do not combust dried plant material. Rather, they heat your herb just to the point that activates and releases THC and other cannabinoids. So, you don’t get the harmful byproducts of smoke from burning plant material. Or, as Buka suggests, you can also use a bong. As we age, we are more likely to develop cancer. There are many factors which contribute to cancer, but many of them somehow cause changes to your DNA. Your DNA is split and copied countless times each day, creating room for error. To top things off, free radicals and other lifestyle factors can increase the risk of DNA damage that is then replicated. As your first line of engagement with the outside world, your skin fights a battle against environmental harms every day. It’s understandable, then why skin cancer is the most common form of cancer. As a massive external organ, your skin takes more than its fair share of daily abuse. Research from 2003 found that cannabinoids may be novel therapeutic agents against skin cancer. Using skin cancer cells cultured outside of the body, researchers found that cancer cells treated with cannabinoids were more likely to die. While the skin tumor cells began to self-destruct, healthy cells remained unaffected. The researchers also treated tumors in mice with cannabinoids. They found more or less the same thing. More skin tumor cells went through a process of self-destruction when they were treated with cannabis compounds. While no clinical trials have been completed in humans, these early findings are backed by a wealth of anecdotal evidence. Cannabis activist Rick Simpson has inspired cancer patients all over the globe with his skin cancer success story. Nearly by accident, Simpson discovered that highly concentrated cannabis oil caused his skin cancer to disappear. He had a cancerous spot near his eye that reappeared after surgery. Simpson was already using cannabis oil for a previous medical condition but was randomly inspired to put some of the oil directly onto his cancer. He covered the spot with a band-aid and waited for a few days. When he removed the bandage, he was surprised to find pink, healthy skin where his cancer used to be. He is cancer-free to this day. Rick Simpson put medical cannabis oil directly on his skin cancer. However, you don’t need to break the bank on concentrated cannabis to experience the herb’s antioxidant benefits. Rather, you can either purchase topicals online, at a dispensary or make your own at home. Cannabis topicals are infused creams, balms, lotions, and oils. While some contain activated THC and CBD, others may contain either one or the other. Thus far, topicals are considered safe for daily use. Even if you use a topical containing active THC, you will not become high or intoxicated from simply rubbing the herb on your skin. Rather, the cannabinoids work their magic in a localized area. While you can purchase various face creams, masks, and cleansers at dispensaries these days, you can make a highly nutritious topical right in your own home with just two ingredients: virgin coconut oil and cannabis. Coconut oil is filled with healthy fats and antioxidant vitamin E and is thought to have wrinkle-fighting properties on its own. Combined with cannabis, you have a powerful antioxidant oil that is safe to use on any part of your body. You can find a recipe for cannabis coconut oil here. Though, you may want to add some organic essential oils if you’d like a more fragrant skincare product. As a bonus, cannabis topicals may reduce muscle pain and tension, and ease aching joints. For more information on cannabis topicals, check out our article here. Another way to reap the healing powers of cannabis is through hemp oil. Hemp oil is also legal and available for online purchase. 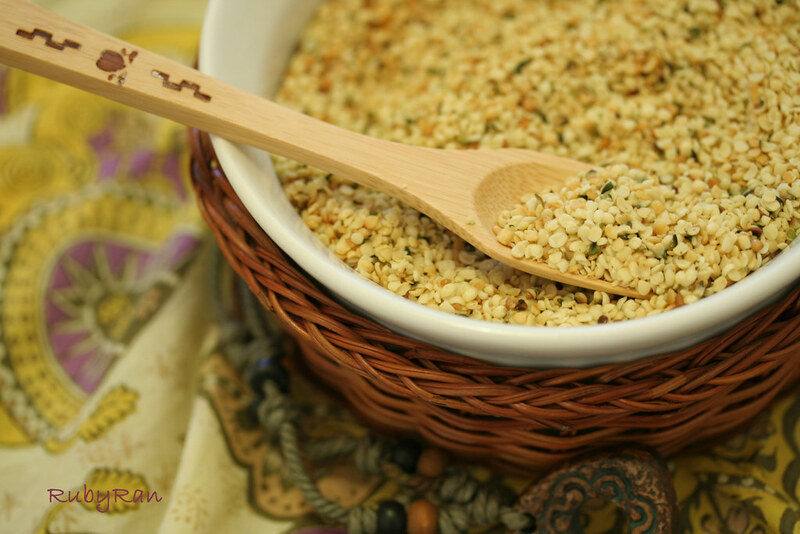 Hemp contains a plethora of antioxidants, but it’s also rich in essential omega fatty acids. These fatty acids are excellent for skin health, and boost the herb’s antioxidant potential. Applying hemp oil directly to the skin is a great addition to any skincare regimen. But, research has shown that dietary hemp can also encourage healthy, vibrant skin. A 2005 study found that adding hemp oil as a dietary supplement for eczema patients significantly improved inflammation, dryness, and itchiness associated with the condition. Hemp oil is filled with linolic acid. Linolic acid is an omega fatty acid that promotes quality sebum production. Sebum production, if you remember, declines as we age. A quality hemp oil contains 50 to 60%% of your linolic acid, making it an excellent dietary addition if you’re concerned about skin health. To conclude, there are a few ways cannabis protects aging skin. Cannabinoids are potent antioxidants that neutralize wrinkle and cancer-causing free radicals. The herb may also directly engage with your skin cells to help moderate oil productions, which may be beneficial for dry, aging skin. Finally, hemp oil is a rich source of linolic acid, a skin-health essential nutrient. All of these factors are just more reasons why cannabis becomes better with age. As we get older, it takes a more external effort to protect against a lifetime of accumulated damage. Though far from a cure-all, cannabis may be just the herb to help turn back the clock on aging skin. Do you use cannabis creams? How do you like them? Share with us on Facebook, Twitter, or in the comments below. We’d love to hear from you!